click photo to enlarge To the left is the Berliner Dome. 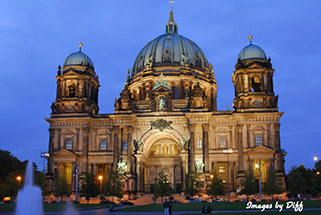 This is the largest protestant church in Berlin. We also saw it in the daylight and walked all the way up to the dome. The cathedral was started in 1894 and completed in 1905. The building was severely damaged during the war. The dome was 114 meters high but when rebuilt it is now only 98 meters high. 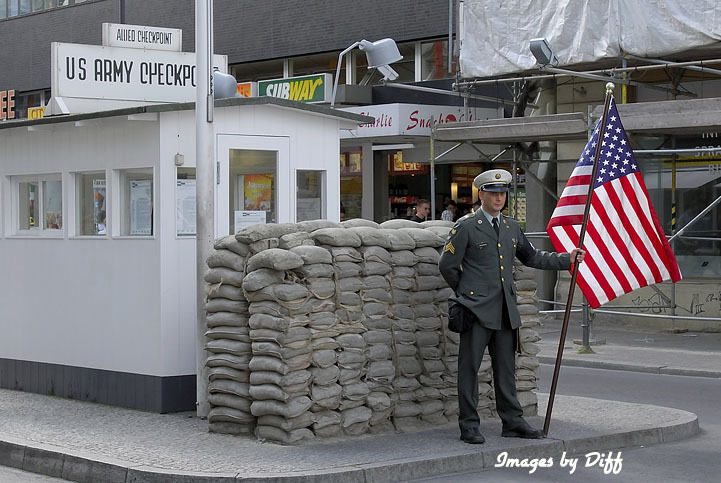 It was dedicated in 1963.
click photo to enlarge Checkpoint Charlie was one of the allied border crossings in Berlin. 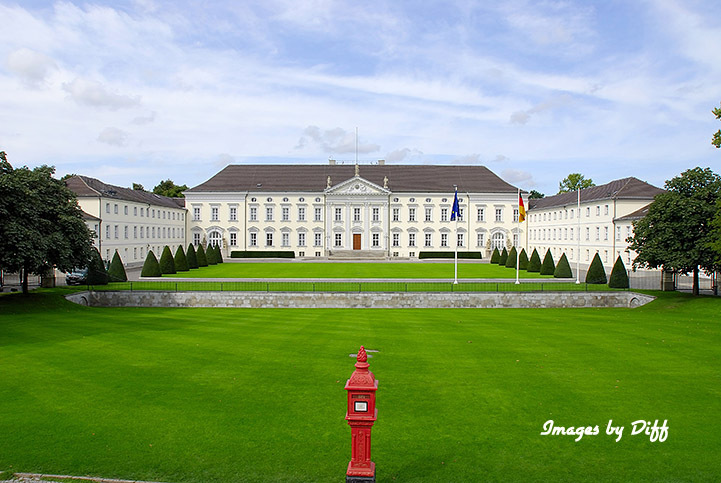 The border crossings were named using the NATO phonetic alphabet Alpha, Bravo, Charlie and so on. Checkpoint Charle was the one the US manned. 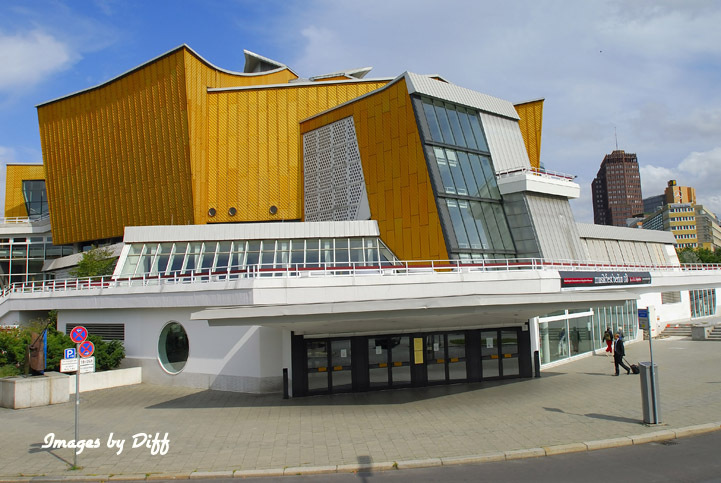 There is also a museum on the Berlin wall here that was very interesting. click photo to enlarge The other pictures here show the old and the new. To the left is the presidents estate. 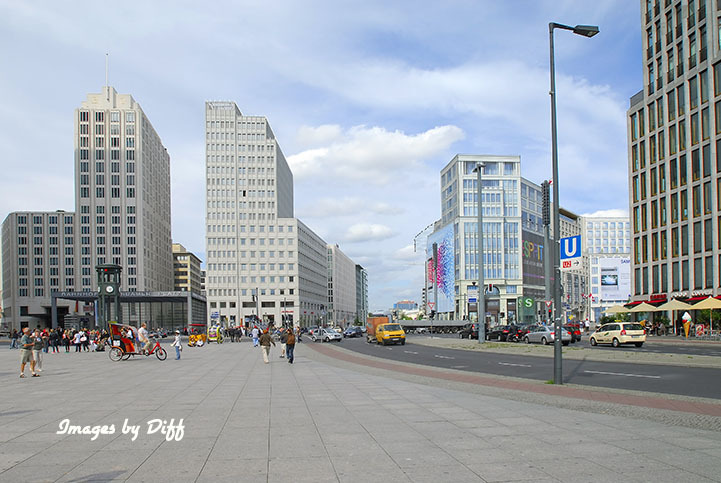 Along the bottom are the Philharmonie, Kaiser Wilhelm Memorial Church and Potsdamer Platz. 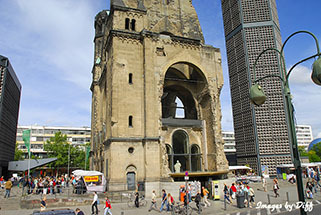 The Kaiser Wilhelm Memorial Church "the hollow tooth" as it is known symbolizes how Berlin was rebuilt after the war. 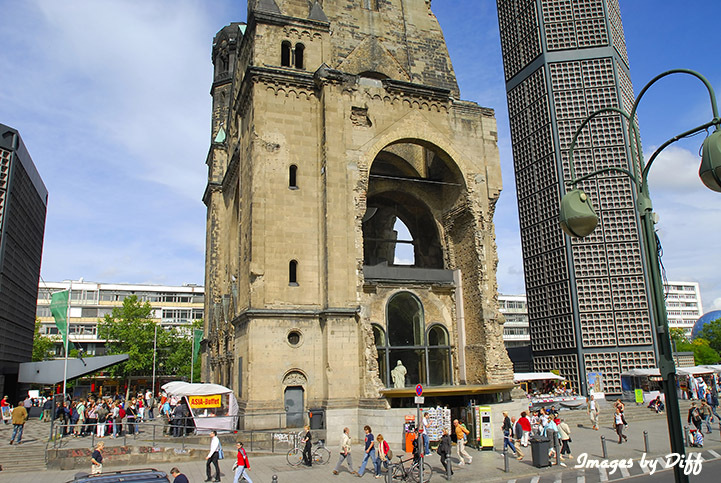 The ruins of the old church were left standing and a new church built next to it. 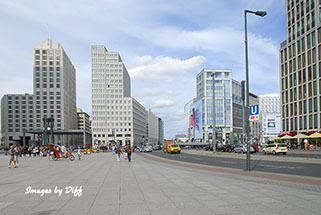 Potsdamer Platz shows an area totally rebuilt after the war. There are many reminders of the war throughout Berlin and the one I found most interesting are bricks in the street showing where the Berlin Wall used to be.